In this hilarious and highly practical book, author and professional speaker Scott Berkun reveals the techniques behind what great communicators do, and shows how anyone can learn to use them well. 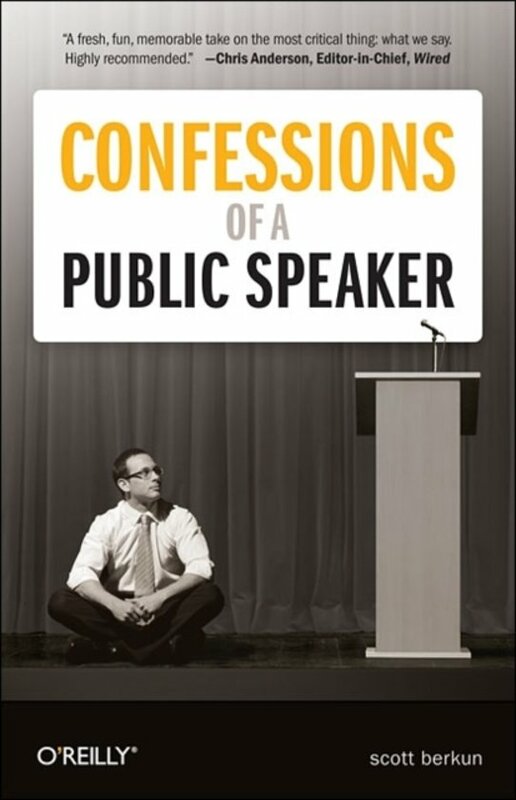 For managers and teachers -- and anyone else who talks and expects someone to listen -- Confessions of a Public Speaker provides an insider's perspective on how to effectively present ideas to anyone. It's a unique, entertaining, and instructional romp through the embarrassments and triumphs Scott has experienced over 15 years of speaking to crowds of all sizes. With lively lessons and surprising confessions, you'll get new insights into the art of persuasion -- as well as teaching, learning, and performance -- directly from a master of the trade. Filled with humorous and illuminating stories of thrilling performances and real-life disasters, Confessions of a Public Speaker is inspirational, devastatingly honest, and a blast to read.